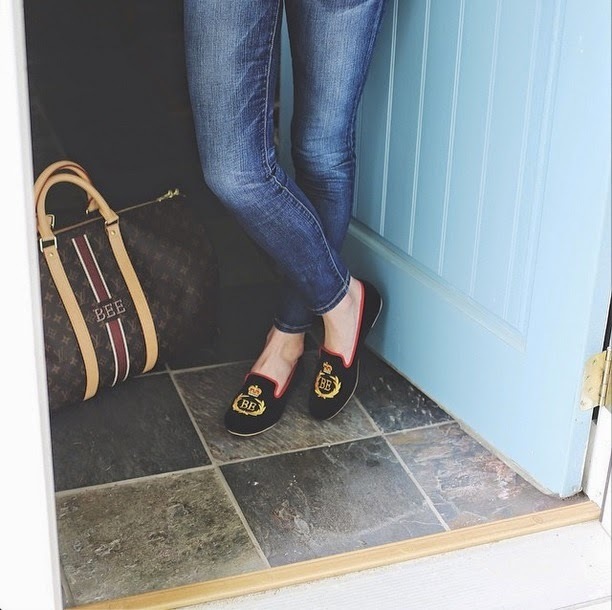 A little while back I spotted these amazing embroidered loafers on Blair of Atlantic-Pacific's Instagram and fell in LOVE! I was even more excited to hear that these customized, monogrammed loafers convert to under $80 (they are sold in Indonesian Rupiah). I am torn between all black with a gold monogram and navy with red trim and a gold monogram. Find the loafers at http://www.jessicapriscilla.com/home! Hi - the link for these monogram smoking slippers isn't working. Do you have any other infor for the source? Hi there! I was wondering if you ended up purchasing these? I'm just a little worried about the overseas shipping and wanted to see if you had any issue with it :) thanks! I didn't :( I ended up getting the Southern Belle slippers from C Wonder instead. In my general experience overseas shipping takes longer, but is otherwise totally fine! Let me know how you make out!